When dealing with septic tanks in any way, shape, or form, the last thing you want is someone with less than exemplary qualifications handling the job. That's why Northeastern Kentucky residents and businesses alike choose Prichard Septic Service in Grayson, KY, to get the job done right the first time. They've been serving customers in Carter, Elliott, Lawrence, Boyd, and Greenup counties since 2004 and have over 40 years of experience in everything from septic tank installation to cleaning, repair, and other means of regular maintenance. There are a number of reasons to choose Prichard Septic Service for all your septic tank installation needs. 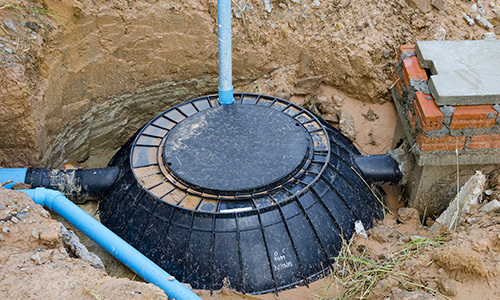 Most importantly, dealing with septic tanks is hazardous work, and any malfunctions that come about as a result can reach well beyond your property. Additionally, systems that are improperly installed will end up leading to a much worse situation. When you hire Prichard Septic Service, you'll be treated to a thorough examination and careful preliminary work before the septic tank installation occurs. Their team will evaluate your building and anticipate factors such as terrain intricacy and water consumption before putting the septic system in place. In addition to the installation work, Prichard Septic Service sets itself apart by providing excavation, cleaning, and hauling services, saving you time and effort. Once you have your septic system installed, the expert excavating contractors at Prichard Septic Service will always be available to help with any future maintenance work. They also offer emergency repairs when necessary. Visit them online for more information on their services, and call them at (606) 475-1491 to schedule your free estimate today.